When your own hair is too thin or too short, and you need an innovative solution to achieve a certain hairstyle, this collection of quality human hair and synthetic hair pieces from Look of Love is the answer! Be ready for any hair addition that you may need. For filling in problem areas, for those with fine thin hair, as well as adding beautiful sculptured curls for fashionable up-do’s and more. 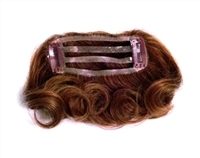 Look of Love offers the most versatile collection of hair pieces that will suit almost all styling needs. 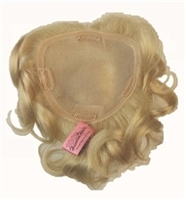 Look of Love offers a large variety of synthetic and human hair wiglets. Not all products are shown, if you do not see the particular style you are interested in, please contact us and we will be able to order it for you.